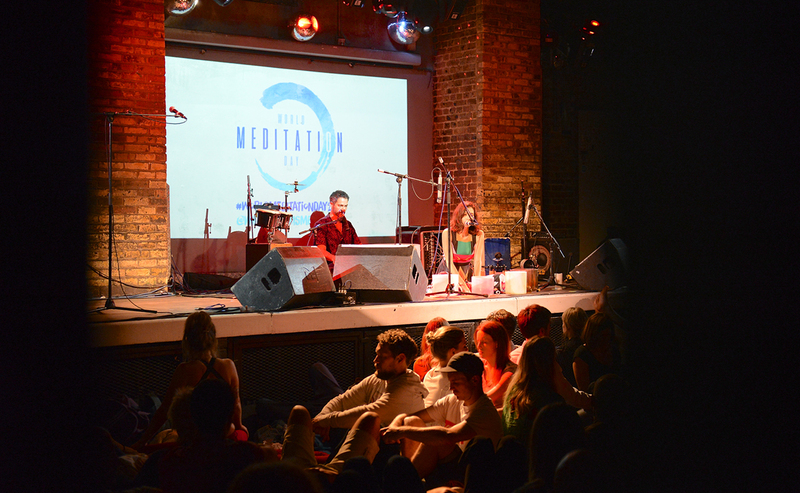 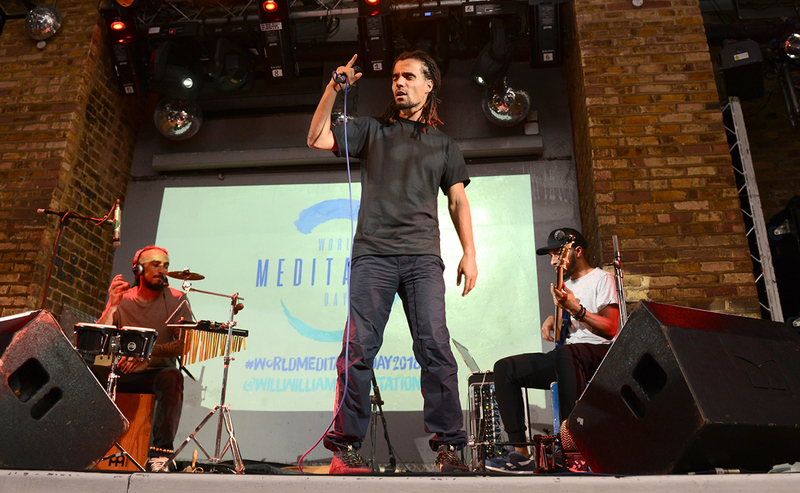 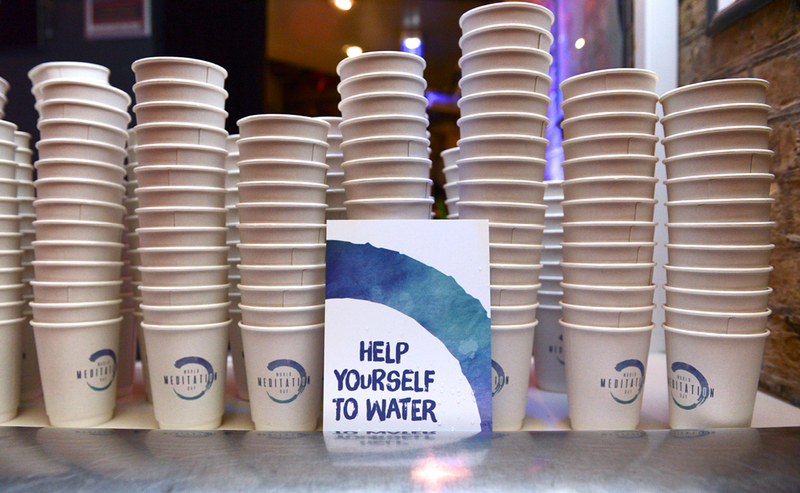 ‘World Meditation Day’ event which took place in London’s iconic Fabric nightclub. 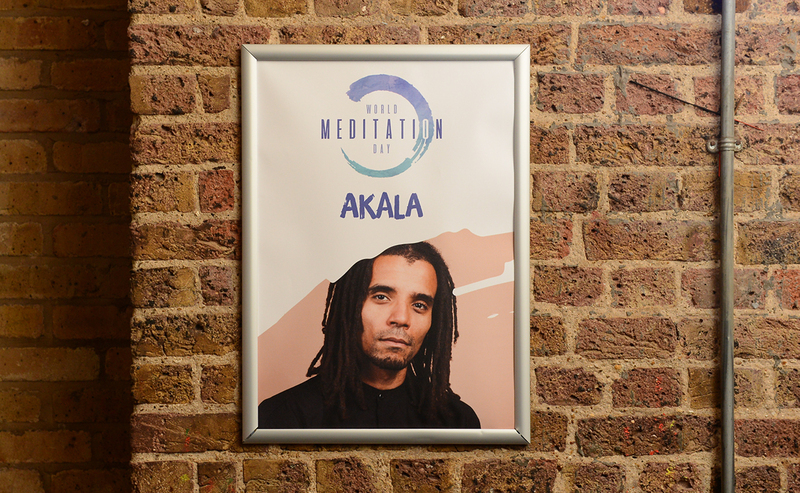 Presented by Will Williams, the event brought together people for an evening of guided meditations and live music with special guests including Jordan Rakei and Akala. 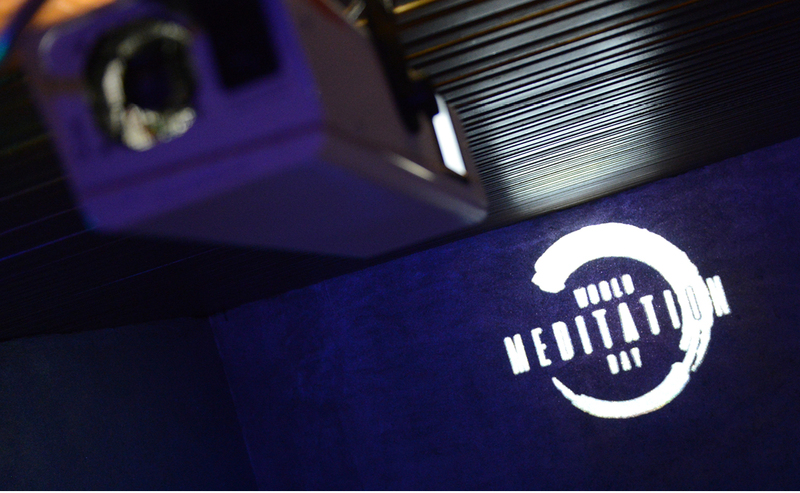 Calming watercolours and swirls were used to create the logo. 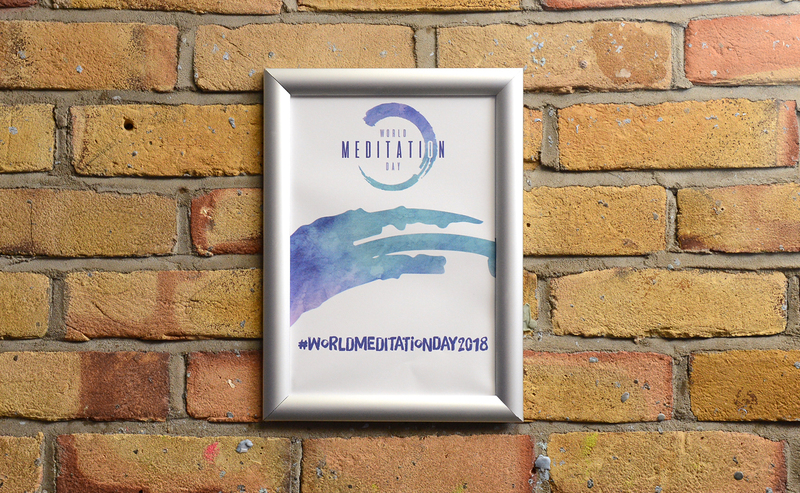 A variety of collateral was created to support the event which used the watercolour and swirl as the key feature. 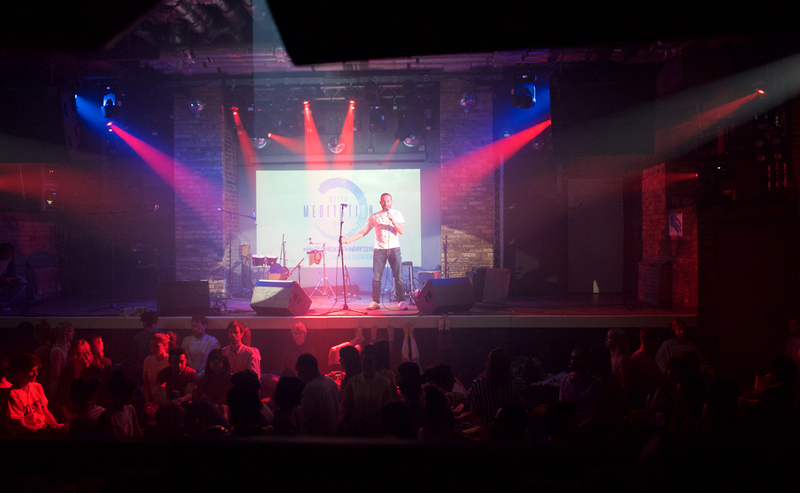 This created a continuity throughout the venue and space. 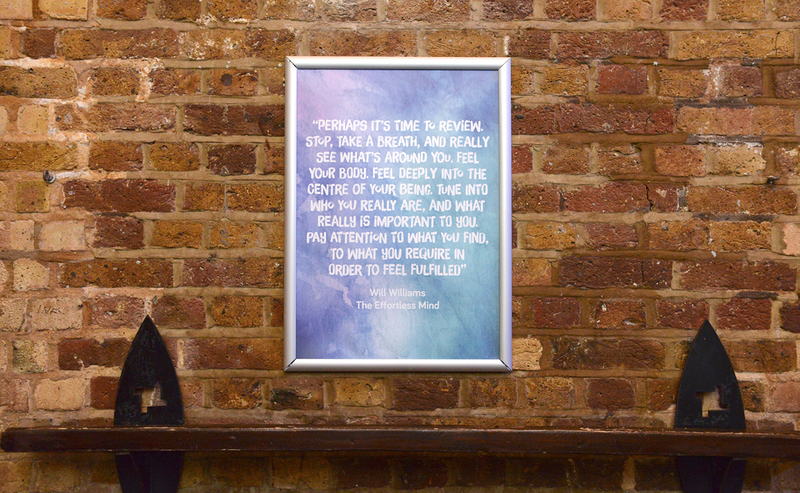 Motivational quotes and visuals were displayed to reinforce the ideas and messaging of the event. 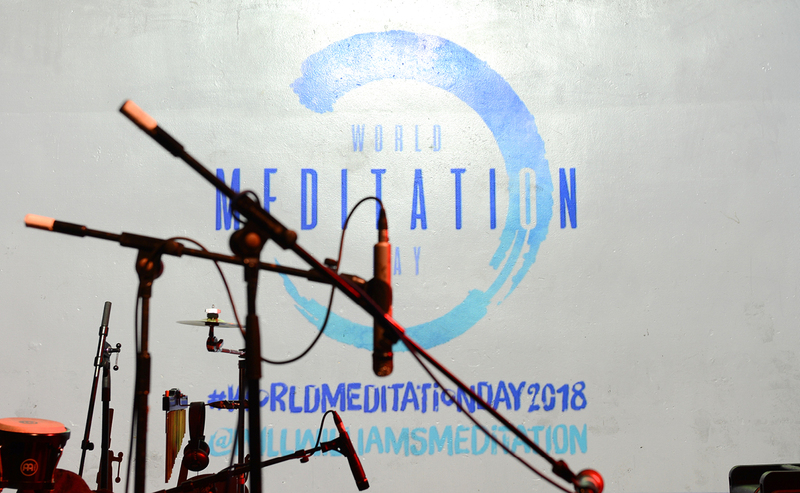 #worldmeditationday was used in over 1,000 posts and the logo was shared throughout social media channels in the hope that it will be adopted as the symbol for World Meditation Day across the globe.